Profound relief, joy and soul healing is what I experienced when I sang to Shirdi Said Baba at his Samadhi in Shirdi, India. Last year, at the end of 2016, I was part of a group singers and musicians that were granted the blessing to sing for Baba at his samadhi inShirdi India. 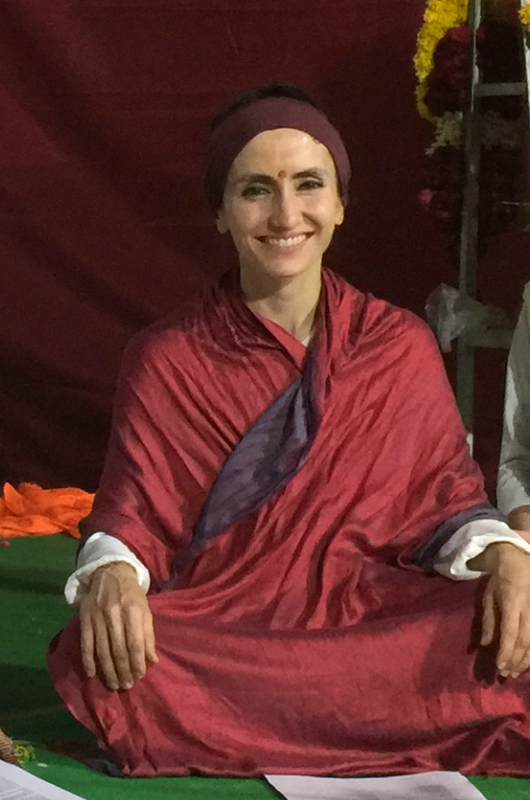 We were a group of six people from the USA and Germany, on stage right in front of Baba’s samadhi, dressed in Indian clothes, but all very clearly western in appearance. As we started to sing, there was a complete forgetting of ‘me/you’, ‘there/here’, ‘they/us’. As we sang, there was the experience of sound singing to the nature and of something witnessing the nature receiving the sound of the heart. While singing to Baba the ‘I” dissolved, and a space was discovered where everything in creation comes together in mutual trust, harmony and love - like a mutual dance - a movement that we call life, except this life was not made up of individual separate beings - it was whole, completely perfect and undivided. It has taken me a while to digest this experience and as it digests I come to realize more and more each day how there truly is a space that contains all the seemingly ‘divided’ whole, a space that holds this ‘divided’ whole with pure unconditional love, witnessing it in it’s imperfect perfection. I am that space and so are you. In our seeming imperfection as separate beings we meet in this space and remember that we have always been, and will forever be one. We can call that space many names. In words, I refer to this space as Shirdi Said Baba or Shiva Sai Nath. And it is my experience that this space is beyond all ideas, beliefs, form and words and can help us remember who we are, why we are here and how together we can transform this creation into a world of unconditional love and peace for each other and all sentient beings. I pray to find you and that you find me in this space and that we dance together in the joy of being one.